A fresh lavender rose, Amnesia has a head that opens into a mystifying bloom. This novelty lavender rose with its green accents is sure to draw attention to any wedding bouquet, table centerpiece or flower arrangement. There is something mysterious and a little haunting about these greenish-greyish-purplish roses. 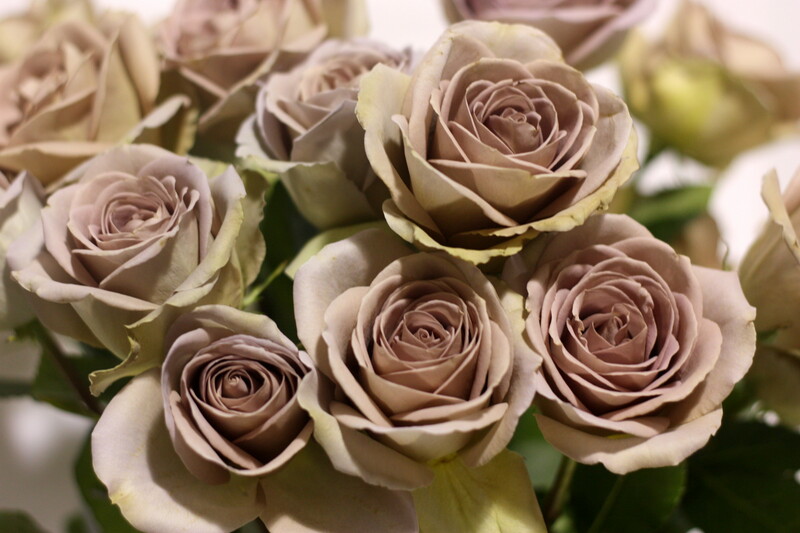 The Amnesia Rose has become very popular over the last few years and is a firm favorite when creating Vintage style wedding flowers. It’s unique lavender, beige and green colors tone superbly with many other flowers, but quite often, because of their mystifying beauty, Amnesia Roses are used in simple clusters with just foliage to accompany them. Over the past few years Amnesia Roses have featured extensively in wedding magazines – because of this every bride-to-be will be aware of Amnesia Roses. 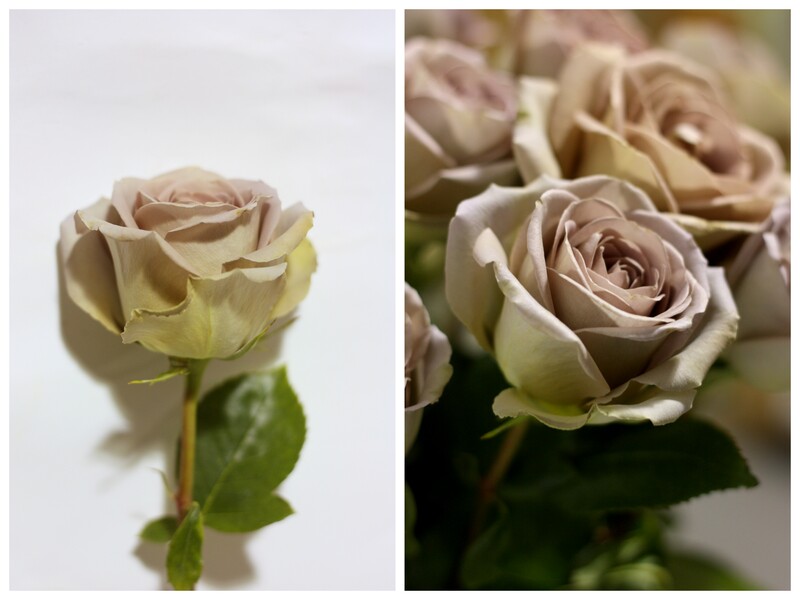 Amnesia Roses have a sturdy stem and are crowned with an antique lilac flower with accents of beige and greens. When the flower is fully open they are a joy to behold. The Amnesia Rose is known for it’s reliability with flower heads that always fully open. With a medium petal count, long vase life and all year round availability, it’s no wonder that these extraordinary roses are constantly in demand. Amnesia Roses are not a variety that grow to tall stem lengths. As a rule Amnesia Roses are available in 50cm or 60cm heights. 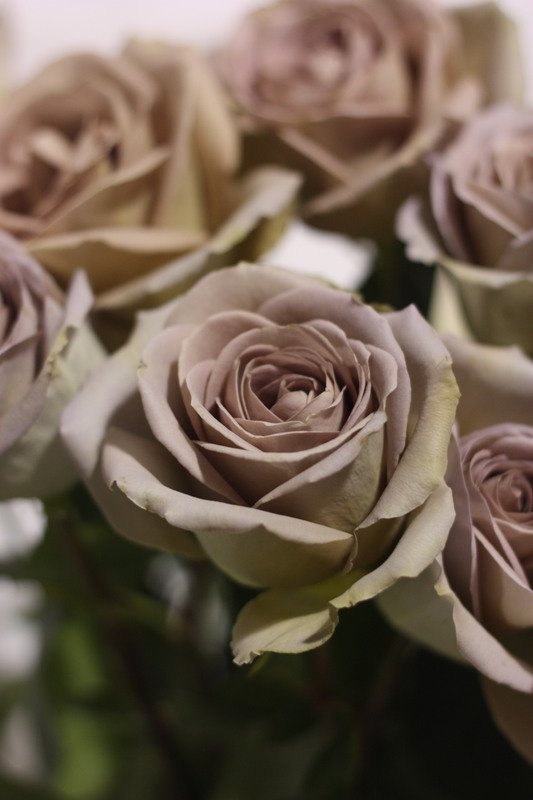 Many florists combine Amnesia Roses with soft pinks and whites for dramatic effect. Over the past few years Amnesia have been a very sought after wedding rose because of it’s unique color scheme and fit perfectly into the current fashion of ‘vintage wedding flowers’.